The Avengers are dead - long live the Avengers! 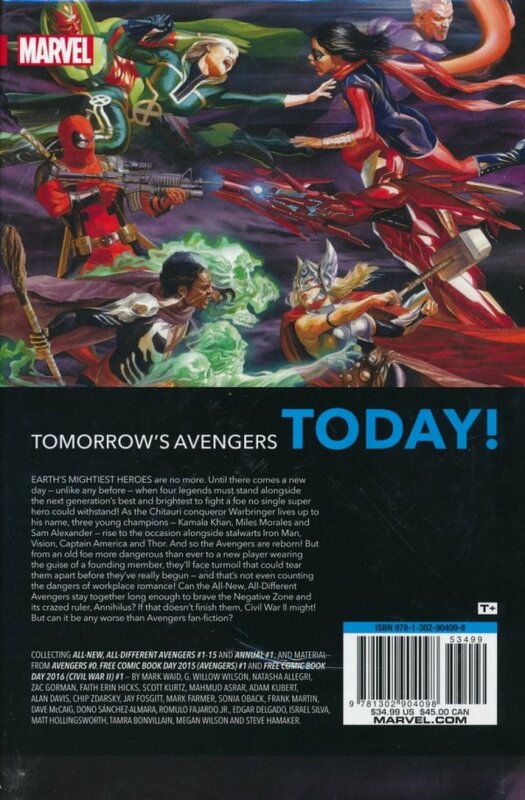 When a threat from beyond the stars targets our world, fate draws Captain America, Thor, Vision and Iron Man together again - alongside a group of young adventurers who will reinvigorate Earth’s Mightiest Heroes like never before! 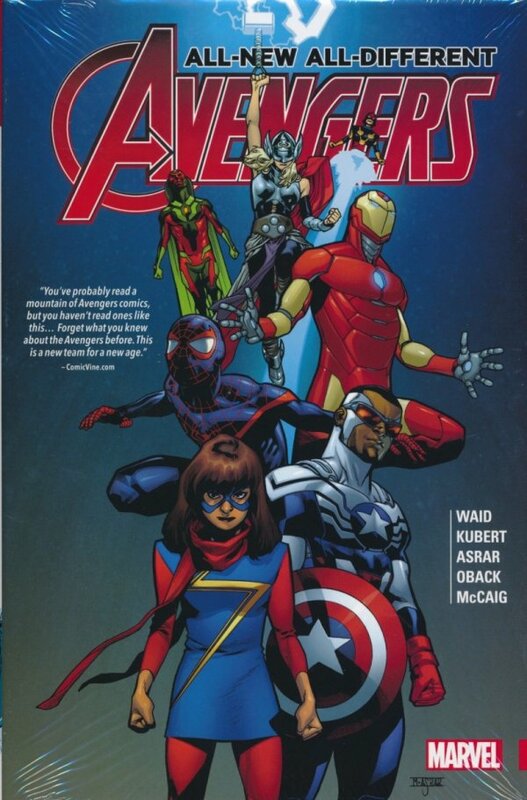 Welcome to the big leagues, Nova, Ms. Marvel and Miles Morales, a.k.a Spider-Man! But who is the familiar villain pulling the reassembled Avengers’ strings? And can the new lineup last long enough to be more than a footnote in the team’s great history? Maybe not, when the events of STANDOFF make them forget their true identities! Then, feel the sting of the All-Different Wasp! Is she friend or foe? Collecting ALL-NEW, ALL-DIFFERENT AVENGERS #1-12; and material from AVENGERS (2015) #0, FREE COMIC BOOK DAY 2015 (AVENGERS) #1 and FREE COMIC BOOK DAY 2016 (CIVIL WAR II) #1.